This week social media has been brutal for people who ride bikes. Two bike riders were abused by a car driver, using a mobile phone to record the event, and will face court for driving offences. Then 7 News Australia posted this video of a rider who narrowly missed being hit when the wheel fell off a boat trailer. Some people used social media to demonstrate their poor understanding of the road rules, and aggression towards people riding bikes, who had done nothing wrong. Bicycle NSW knows great journalism saves lives but we need to go further than campaigns retaliating against the opinion of an individual journalist. 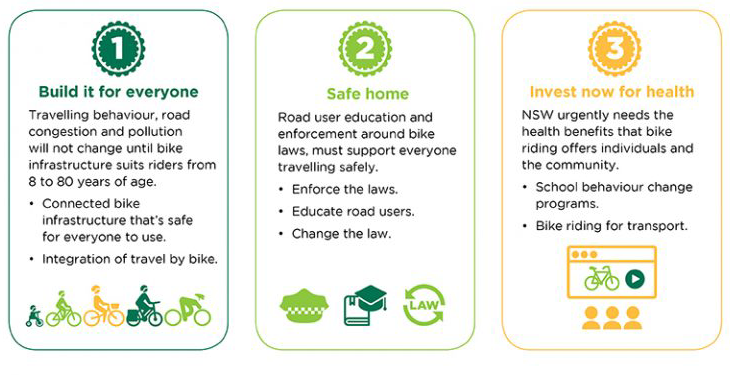 One of the three key policy pillars Bicycle NSW advocates for is Safe Home. People riding bikes need legislation, enforcement and road user education that promotes behaviour that keeps people safe. We know now that when the cyclist asked the driver to “Pull over so I can have a chat” that he was an off-duty police officer. This could have been a great opportunity for the driver to learn what he was doing wrong, and the law as it applies to bike riders. Bicycle NSW has produced resources to help bust myths around the road rules that apply to bike riding, and calls on social media managers to take the opportunity to educate drivers and help reduce aggression on the roads. “It’s never ok to advocate violence, and we can see from the responses on social media that a lot of people think bike riders deserve a fair go on the road,” said General Manager of Public Affairs, Bastien Wallace. “We’re calling on the media, social media managers and NSW Road Safety to join us in taking the opportunity to educate drivers and make our roads safer,” said Bastien.